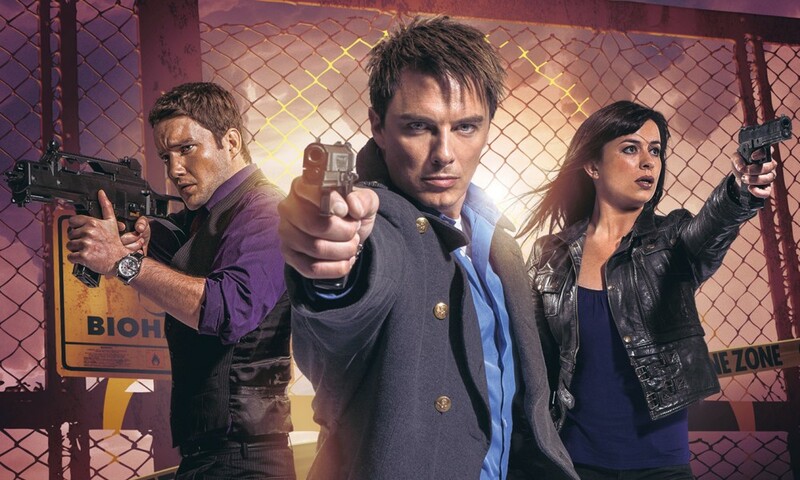 The last component of Torchwood’s tenth anniversary celebrations finally reunites the majority of the show’s cast in a proper drama: Jack, Gwen, Ianto, Rhys, and PC Andy all return in Outbreak, a story set between Exit Wounds and Children of Earth. When a deadly plague is loosed in Cardiff, Torchwood may be all that stands between the salvation of the city and a callous government/industry alliance that would rather write the whole place off. 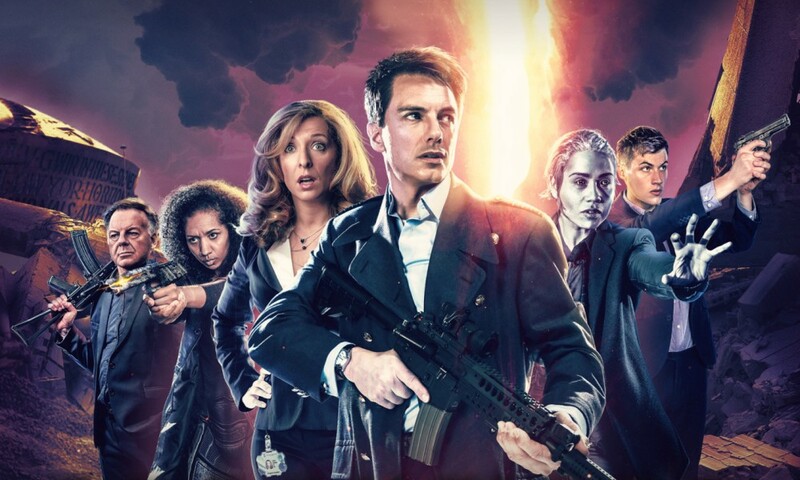 If you consider Outbreak by where it falls chronologically, it feels like a dry-run for the reformatting Torchwood underwent after its first two series. You go from this, one story told in three parts, to Children of Earth, one story told in five parts, to Miracle Day, one story told in ten parts. Like those later TV stories, Outbreak features a large threat (in this case, social disintegration in Cardiff) and pits the team against an uncaring government who’d rather get the team out of the way so that they can pursue their own agenda. This latter element is probably what worked the least for me: one of the highlights of Children of Earth is how it shows how people can make completely horrific decisions in a sometimes well-meaning, sometimes self-serving, but always calm and seemingly rational matter. The representative of the government we see in Outbreak, however, are implausibly evil, swanning into scenes and going, “Ah let’s just wipe a whole city off the map who will notice?” It’s a pure black hat moment from a series that should thrive on moral complexity. For the most part, though, this is an exciting adventure with the Torchwood Three team on top form. It’s definitely one big story, not three individual ones, each one centred around a different stage of the disease. Guy Adams’s Stage One, Incubation: Know, has PC Andy discover a mysterious infected man while Ianto and Gwen investigate a rash of mysterious accidents. In Emma Reeves’s Stage Two, Prodromal: Love, Rhys tries to figure out a way into Cardiff while Ianto has to stay alive while trapped in the Hub with a murderous Jack. And finally, in Stage Three, Invasion: Kill by A.K. Benedict, everyone independently converges on Cardiff Castle in an attempt to end the disease once and for all. Honestly, this isn’t Children of Earth, but what can be? Aside from that, this is as about as good as Torchwood can be. These writers clearly know and love the series and the characters, as each one gets their moment, little or big, and the actors obviously relish it. The way Rhys arranges to get back into Cardiff after the city has been quarantined, for example, is an excellent use of the character’s skills, and Andy’s heroic rehabilitation continues as he gets shot but then soldiers on! (Though he then spends half the episode insisting he’s at a birthday party.) Gwen rallies the people of Cardiff into an army. Best of all is the focus given to Jack and Ianto on the eve of the tragic events of Children of Earth: for me, the strongest episode was the second, where an infected Jack tries to kill Ianto, all while 1950s Torchwood One operative Norton Folgate (Samuel Barnett reprising his role from Ghost Mission once again) stands on the sidelines. Barnett’s Folgate is always a camp delight, and we also get some insight into the eternal tragedy that is Ianto Jones. Being back in the full-cast world of Torchwood is great: it’s even nostalgic to hear the damn door open up! And I continue to enjoy the occasional apt deployment of Ben Foster music cues from the television programme. As always, I end up thinking that the Big Finish version of Torchwood isn’t exactly the television programme — because it’s more consistent and put together than the television version usually was. This is another strong outing for Torchwood on audio. 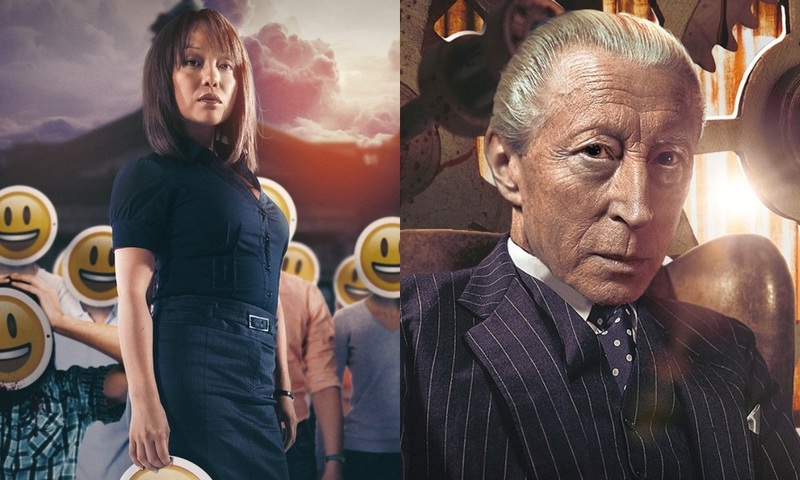 If you loved the TV show, you’ll love this, but even if you struggled with it, I think you’ll find that it’s finally doing what it should have done all along. Outbreak (by Guy Adams, Emma Reeves, A.K. Benedict; starring John Barrowman, Eve Myles, Gareth David-Lloyd) was released by Big Finish Productions in November 2016.